ur staff is one of the most experienced and knowledgeable dental team in the Roanoke Valley. They have dedicated their professional careers to providing you with the best that dentistry has to offer. Our mission is to provide comprehensive quality dental care in a friendly, patient-focused environment. By establishing trusting and respectful relationships, we enthusiastically educate our patients for a lifetime of dental health. We invite you to meet our highly skilled and compassionate staff members, from reception and front office to dental hygienists & dental assistants. Victoria was born in Callaway, Virginia but now lives in Boones Mill, just a few minutes away from where she grew up. 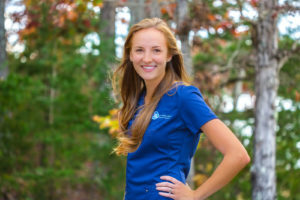 Victoria graduated from Virginia Western Community College in 2012 as licensed registered dental hygienist with anesthesia and nitrous oxide certification. She is a fantastic example of our knowledgeable dental staff. 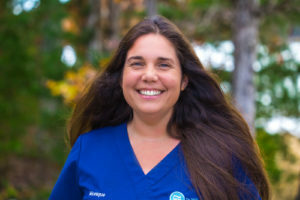 Her favorite part working at here is meeting new people and teaching patients the important connections between oral health and overall health. When Victoria isn’t in the office, you can find her enjoy live music at concerts and music festivals with her husband. She has played the piano since she was four years old! Monique is originally from Long Island, New York but has lived in Roanoke for over twenty years. She graduated from Virginia Western Community College as a licensed registered dental hygienist. Monique is excited to continue her seven years in helping patients at Dr. William Moore General Dentistry. Monique is our green thumb in the office and loves to garden. Her understanding and soothing personality allow our most tense patients to relax. Lynn is one of our fantastic dental hygienists. This Roanoke native, now living in Botetourt County, has worked twenty-eight years in the dental industry. 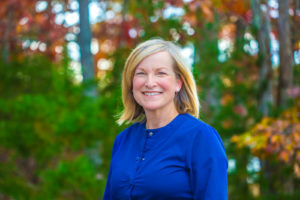 Lynn began her career as a dental assistant and continued her education at Virginia Western Community College. Some of Lynn’s favorite hobbies are painting, camping, kayaking, and reading. Not only is she an amazing dental hygienist but she is also a proud and dedicated mother of two children. 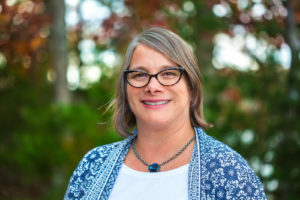 Nancy was born in Georgia but soon moved to Blacksburg, Virginia. She loved southwest Virginia so much; she decided to raise her own family right here in Roanoke. Nancy graduated from Virginia Western Community College. She has thirty-three years of experience as a licensed registered dental hygienist and being a wife to John Allen. We are lucky to have her at this practice for four years. Nancy likes to spend time with her growing family and shopping for home décor. 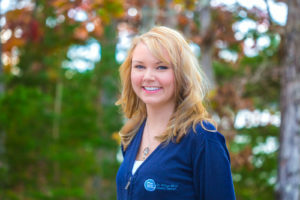 Her favorite aspect of working at Dr. William Moore General Dentistry is the patient interaction and working with her fellow employees, both add tons of fun to her workday. Donna was born and raised right here in the Star City of the South. 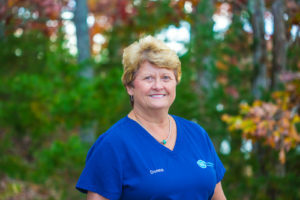 Donna has an amazing thirty-five years of experience as a dental assistant. 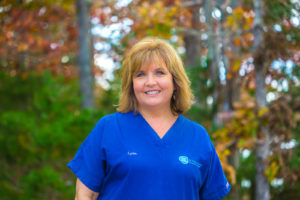 Her favorite aspect of working here is getting to know her patients, which have grown into numerous friendships throughout the thirty-one years at this practice. When she isn’t in the office, she is outside kayaking, camping, biking, and doing Zumba! Carolyn is our newest member of the dental team. Carolyn just graduated from Dabney S. Lancaster Community College and is excited to start her career in the dental field. Her friendly personality is a true joy to have around the office. Outside the office, Carolyn enjoys spending time with her family and friends, especially her American Pit Bull named Cena. Kelly is our Office Manager extraordinaire. Originally from Ohio, Kelly grew-up in Southwest Roanoke. Kelly’s fourteen years of experience as an office manager is shown by her passion for patient communication. Her professional attitude & contagious enthusiasm is only shown-up by her knowledge and organizational skills. Kelly’s is a sucker for live music, traveling, and shopping. She can spot a deal a mile away and considers herself a shopping ninja. Megan is our Business Manager & modern day office Wonder Women. You might recognize the last name. Megan & Dr. Moore were Patrick Henry High School sweethearts and tied the knot in 2011. Megan grew up in Botetourt County but now lives in Roanoke City. 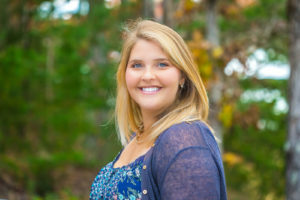 Megan received her Masters in Social Work from Virginia Commonwealth University and splits her time in the office with Carilion Clinic Hospice. Her Next Food Network Star cooking ability is only matched by her genuine and caring personality. Megan and Will have two beautiful children & love spending time with family at Smith Mountain Lake on the weekends.